Test Valley windows have carried out double glazing repairs and replacement parts to double glazed windows since 1995. We can replace your glass at a fraction of the cost of new windows. Our double glazing repair covers Andover, Hampshire, Winchester, Salisbury, Southampton, Romsey, Newbury, Basingstoke, Whitchurch, Overton. With our experience, we can fix most issues that you may have with double glazing. We carry out both replacement windows, doors or conservatories and double glazing repairs, putting us in a good position to offer you sound advice. Some companies only replace the whole product. This may be the most appropriate action to take, but in many cases, a cost effective repair might be your preferred choice. It is true that new double glazed windows are more efficient, it is also true that you can upgrade the efficiency of your existing double glazing by replacing the sealed units. Other new parts may also make a considerable difference to your door, window and conservatory performance. If your windows are letting in drafts, then it could be as simple as just needing new hinges, locks or gaskets. 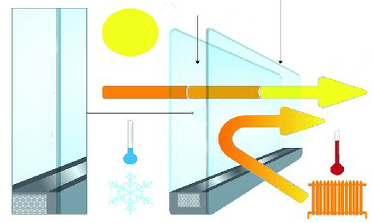 If your glass units have misted (between the glass), then the seal will have failed. This again can normally be easily replaced with a new sealed unit. If your existing double glazing units have misted up, cracked or you would just like to increase the energy efficiency of your existing unit, we can replace your old units with matching or upgraded new units using the latest technology. Replacement double glazed units supplied and installed from £71.00. Roof glass replaced or upgraded. 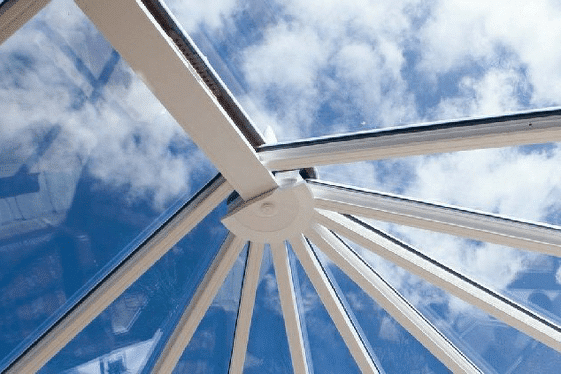 Keep your conservatory cooler in Summer, warmer in Winter and cleaner all year round with the latest roof glass which reflects up to 80% of the suns energy, retains heat in the winter and has self-cleaning properties. Replacement double glazed roof glass will require a site visit to quote. 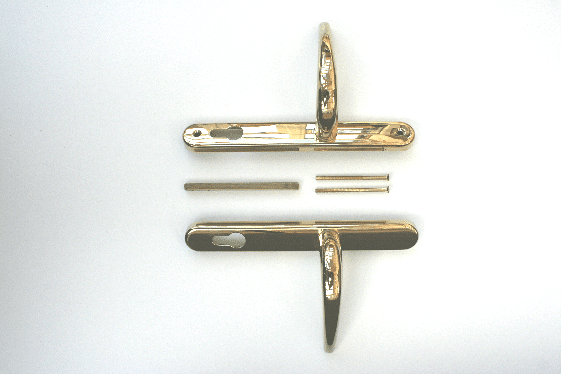 Your old window handles can, under most circumstances, be replaced with new up to date key locking handles. They have a push button to open to make the windows very difficult to accidentally open, for child safety. Window handles supplied and installed from £15.00. Minimum charge applies. Our hinges for PVCu and Aluminium windows range in length from 200mm to 600mm and come in various stack heights. They are made from stainless steel and have an adjustable friction pad to alter the tension. 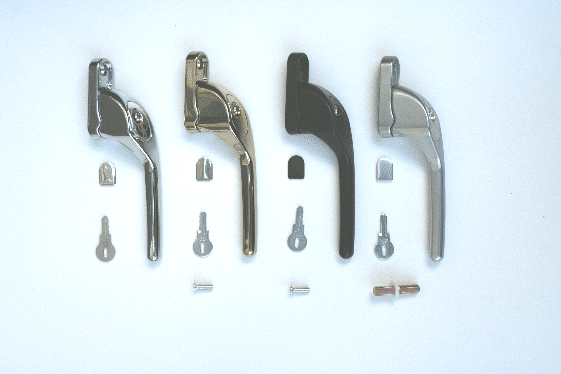 For the supply and installation of window Hinges (pair) from £70.00. 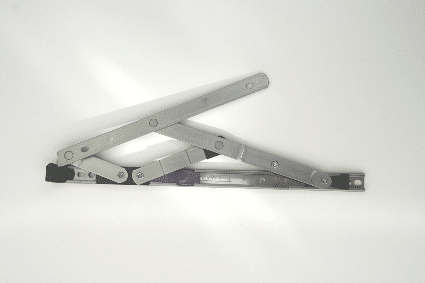 The easy clean hinge is for side opening casements when the clear opening area needs to be maximised (for example fire escape windows) with the added facility to egress the opening for easy cleaning of the outer panel. 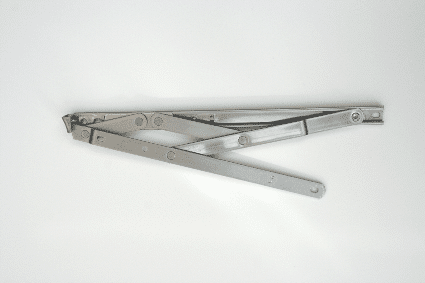 For the supply and installation of easy clean hinges (pair) from £80.00. 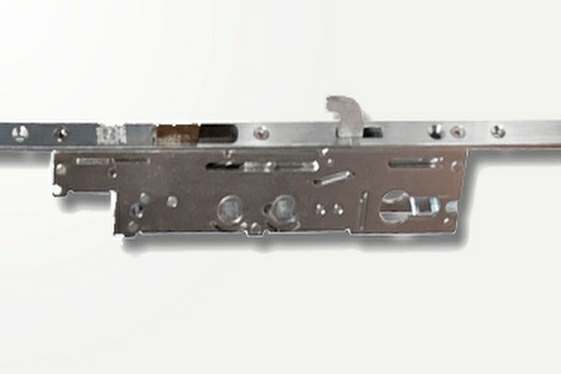 This hinge operates as the easy clean hinge with the addition of a restrictor. This is used for low-level windows above the ground floor where there is a risk of falling out or restriction of windows, for example over a child’s bed or a window opening out into a walkway. For the supply and installation of tri stay hinges (pair) from £90.00. If you have faulty window mechanisms, we can supply and fit new to most window types including Zenith, Everest, Safestyle Kjm windows, Wessex windows and county windows. We can supply the same espag or shoot bolt gearing. Replacement window locks from £45.00 each. 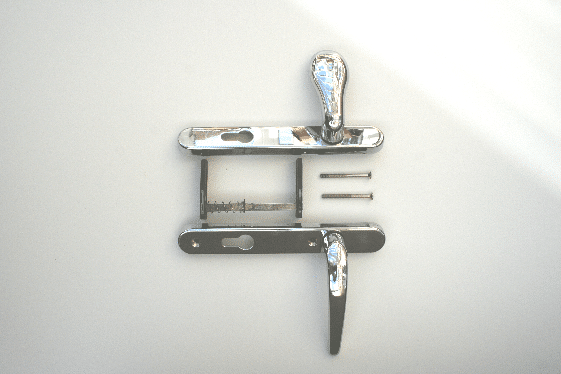 There are many different door mechanisms for which our expert engineers will try to identify and either change on a like for like basis or try to find a new lock that will fit. Again we can replace most companies door locks. Door locks supplied and installed from £180.00 each. 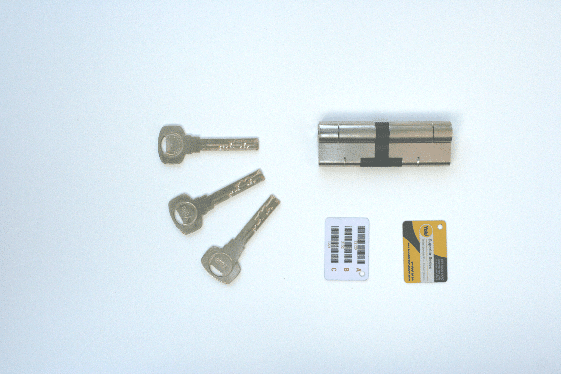 The door cylinder is what operates the lock, and an unsecured cylinder can easily be broken into in a matter of seconds. We only supply secure replacement cylinders that are an anti bump, pick and snap. We can supply various sizes to fit your door. Security cylinders supplied and installed from £60.00 each. Our replacement door handles for PVCu and Aluminium windows come in many sizes, styles, colours and finishes. Standard colours are white, chrome, mat silver, gold and black. Black and white hammered finishes are also available. Again lever pad handles are available in the same finishes as our replacement door handles except for the hammered finish. They can have split or off set spindles for key entry only. Again many sizes are available. 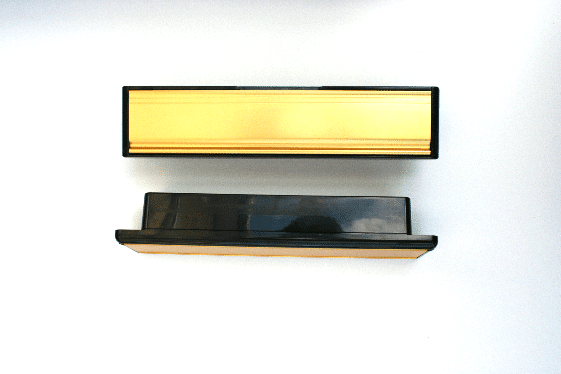 Lever pad handles can be supplied and installed from £50.00 each. 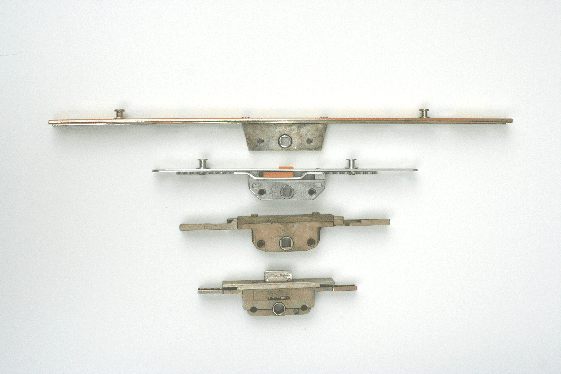 There are many shapes and sizes of letter plates, and some sizes may no longer be available. However, if your letter box size is not available, our skilled engineers will route out your old door to suit a slightly larger letter plate. Letter plates are supplied and installed from £40.00 each. Please note that double glazing repair prices are for guidance purposes only and we may require a site visit to confirm costs. Not all windows and doors are repairable, but our engineer will endeavour to give you good sound advice on the best route to take be it a repair, replacement parts or a new window or door.